2017This short story collection by Qi Zhi has charmed readers with its tender writing style and delicate perspective. This short story collection by Qi Zhi has charmed readers with its tender writing style and delicate perspective. 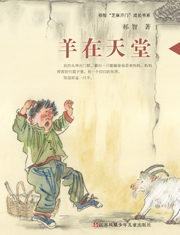 The series tells the story of a boy named Xiaoshui and his friends living in a village called Tongcun. The writer tries to make readers recall the joy of childhood.